it does say, “The prayer of faith shall save the sick.” It is faith that gets a person things from God. 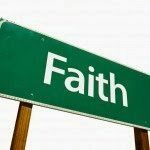 Faith is the key that unlocks all of God’s cupboards. truth is you will benefit from faithfulness by living longer and living better. because man does not get things from God because he or she is a good Christian. how we invest that faith.